The population in Sydney experienced a bit of boom from the mid-19th century, as the gold rushes brought people from the world over. 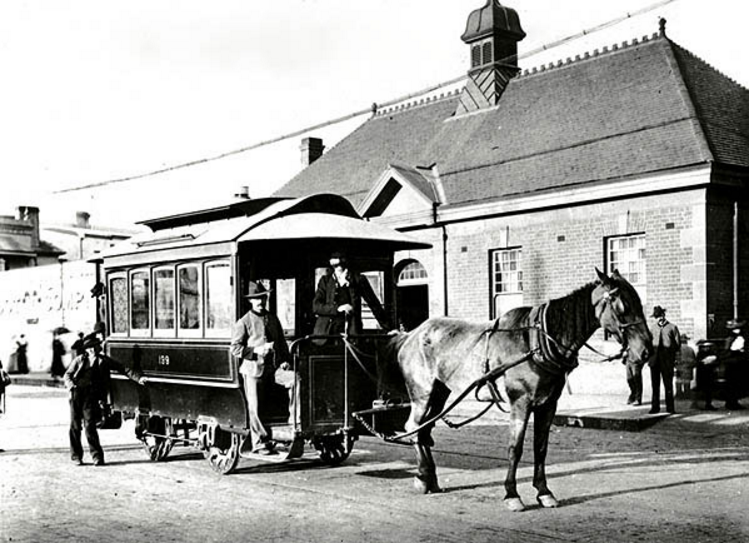 Consequently, the need for improved transport around the city became obvious and in December 1861, the first horse-drawn tram was opened running along Pitt Street between Circular Quay and a new terminus at Prince Alfred Park in Surry Hills. Problems arose from cost overruns and poor revenue flows, and it turned out the rails that had been imported from England were found to be unsuitable and were laid upside down. 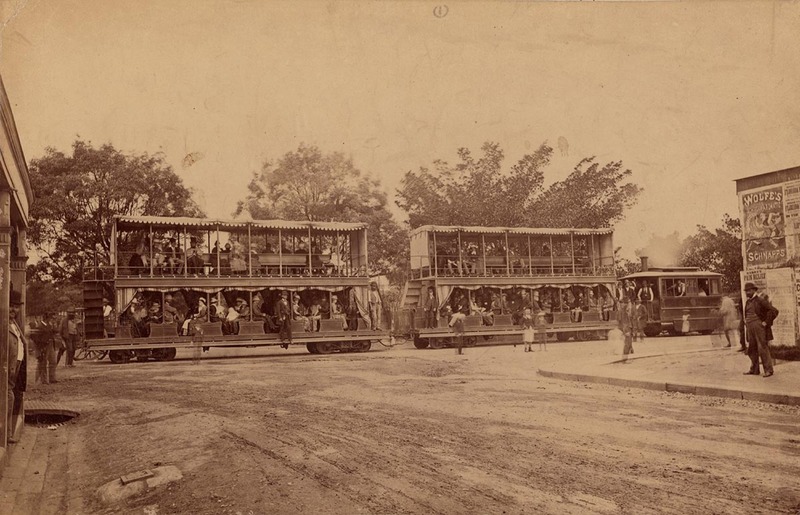 Although the trams were still able to run on them, there were parts which protruded and caused accidents and complaints from the general public. The first fatality caused by a tram occurred in May 1863, when six-year-old Thomas McGowan’s ‘leg was severed’ by a tram and he died in hospital. And the death of a well known musician, Isaac Nathan in 1864, galvanised a select committee to recommend the removal of the tram system in 1866. It wasn’t until 1879, when the grand Garden Palace in the Botanic Gardens hosted the International Exhibition, that a temporary line was constructed to convey visitors to the exhibition. It was powered by steam and was a hit with passengers! Nearly half a million passengers were conveyed, an average of more than 4,000 per day. Following its success, a bill was introduced to allow the government to construct tramways throughout the city and its suburbs. The new tram network expanded rapidly, and although it formed a cheap mode of transportation, the trams caused high levels of dust, noise and smoke to permeate the streets. In 1884, cable-driven tramways were first proposed for Sydney from the ferry terminal at Milsons Point up to Ridge Street in North Sydney. But, this technology was quickly superseded by the electric-powered tram. Once an experimental line using overhead wires was tested on the Waverley-Randwick extension in November 1890, and then another one from King Street in the city to Ocean Street in Woollahra, the tram era entered full swing. 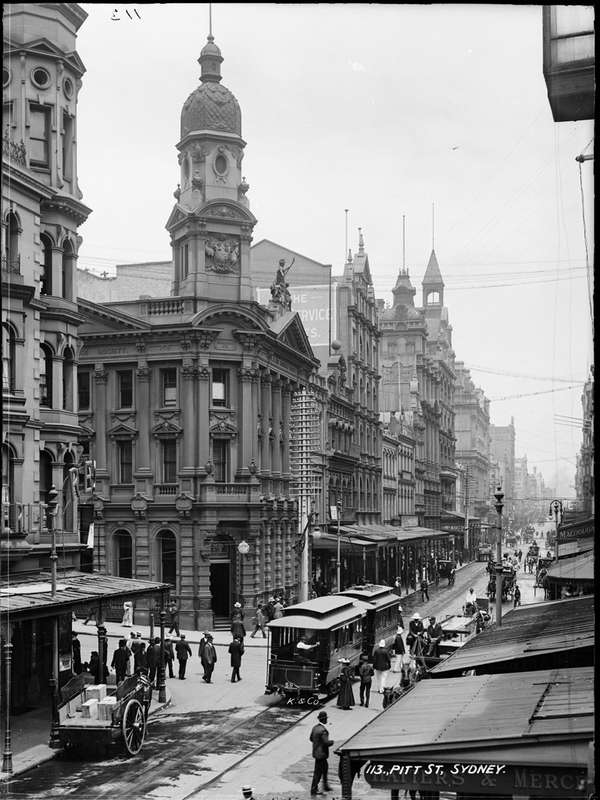 Over the next decade, new tramlines using the electric wire system were constructed around Sydney expanding the network from 124 kilometres to more than 320. By 1922 the size of the network was at its peak, it was the largest tram network in Australia and one of the largest in the world. However, after the Great Depression hit and then World War II, progress was halted. 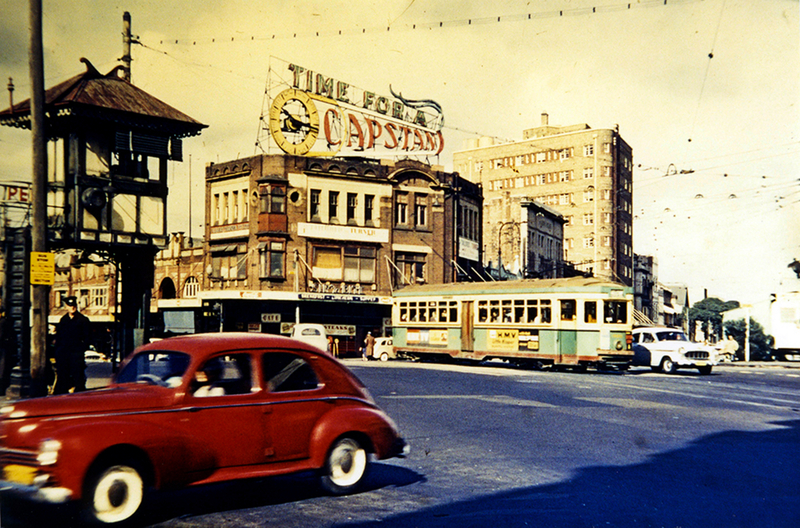 In 1946 only 13 per cent of all trips in Sydney were by car, but by 1960 that figure had risen to 50 per cent. This popularity of motor vehicles spelt doom for the city’s trams, and so in 1961, Sydney’s last tram ran and within days, road traffic congestion had begun. 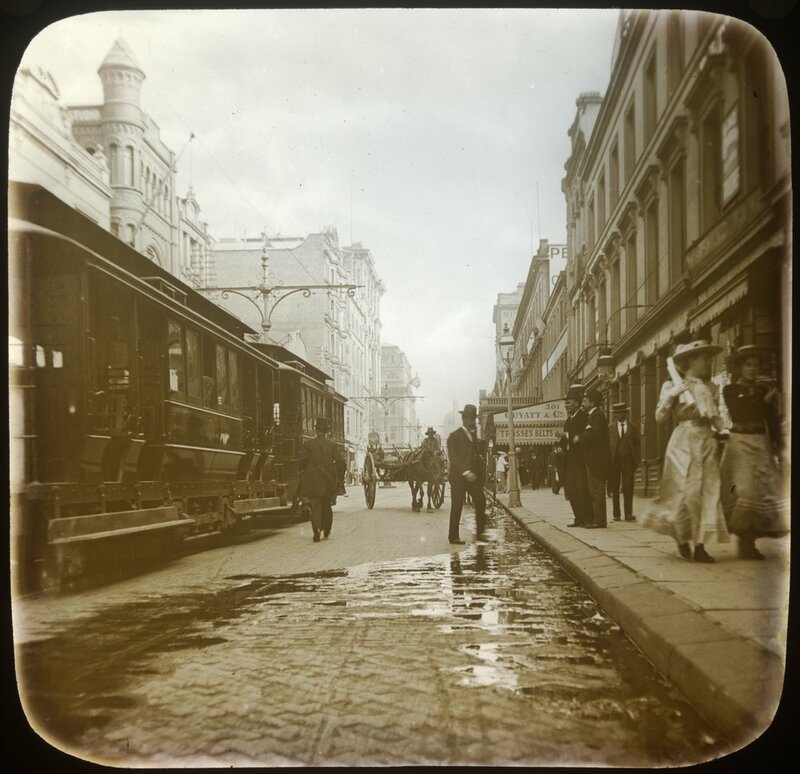 And now today we revisit this means of transport yet again, and soon we will be seeing trams, or shall we say the light rail, gracing George Street once more. Listen to my segment at 2SER radio and read the original article by Garry Wotherspoon at the Dictionary of Sydney. For other interesting segments, see my Dictionary of Sydney project post and visit the Dictionary of Sydney blog. LUV THE OLD PICS….even remember bein on a late 1950s tram…..last one from La Perouse. BUT Melbourne seems to cope.